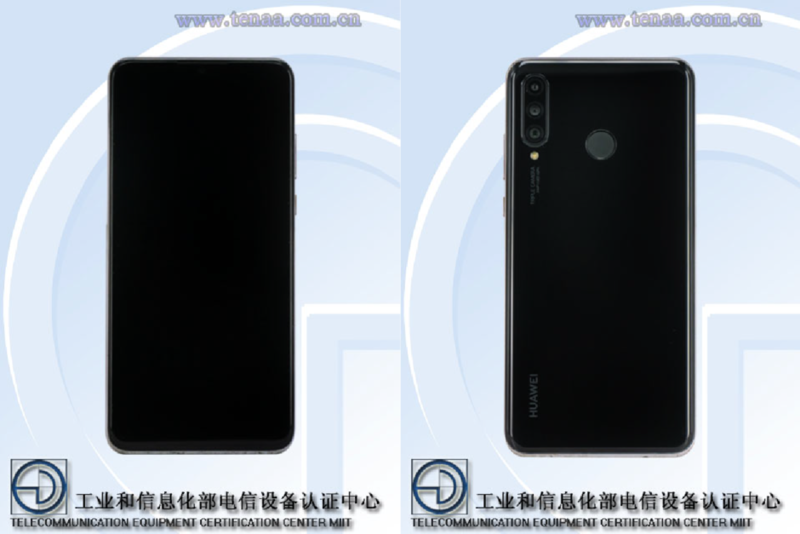 Huawei P30 Lite Images Leaked Through TENAA Listing - Playfuldroid! Huawei is expected to announce the Huawei P30 Lite few weeks ahead of the Huawei P30 and Huawei P30 Lite that are expected to go official on March 26. Hence, there is a possibility that the Huawei P30 Lite may get announced in the first week of this month. The handset has appeared with few specs and images on the database of TENAA today which confirms that it may go official soon. The Huawei P30 Lite smartphone that is codenamed as Marie Claire has MAR-AL00 and MAR-TL00 model numbers for China. Among the two, the AL00 model has appeared on TENAA with preliminary specs. It reveals that the handset measures 152.9 x 72.7 x 7.4mm and it houses a 3,240mAh battery. The handset is fitted with a 6.15-inch display. The images of the MAR-AL00 show that it features a waterdrop-style notch screen. The backside of the phone has a triple camera unit and a fingerprint scanner. It is speculated that the Huawei P30 Lite will carry support for full HD+ resolution. It is likely to fueled by the Kirin 710 chipset. The rear side of the phone could be featuring 20-megapixel + 16-megapixel + 2-megapixel dual camera setup. The battery of the device may carry support for 18W fast charging.